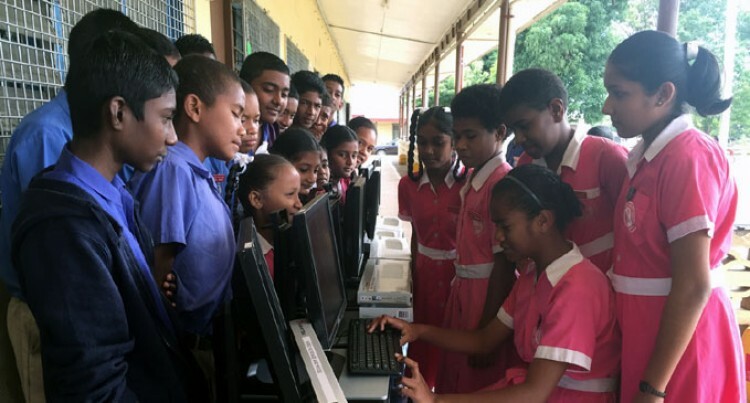 Computers education is now more accessible to students of Gurukul Primary School in Saweni, Lautoka, after receiving a donation of eight desktop computers. This was after the Sydney Fijian Friends of Fiji organisation based in Australia made the donation to the school on Wednesday. Head teacher Saran Deo said he was very grateful for this kind gesture from a former student who had still had thoughts of the school and the children. “We are thankful for the donation received from Jason Narayan of Sydney; computers will now be accessible and benefit all the 433 students of the school,” Mr Deo said. Mr Narayan, who was born in Fiji, said it was something for him and their friends to connect to; it’s where they all started. “This donation is done for “self satisfaction” and also the feeling for the students of this school,” he said. Earlier this year in February, Mr Narayan had donated three computers and a box of stationery for the students of the school.